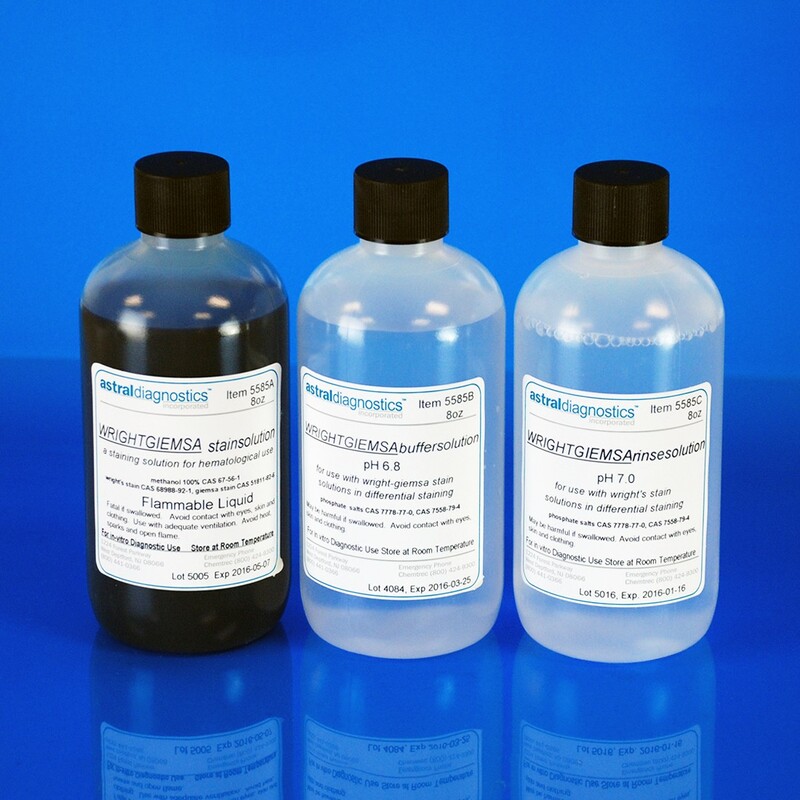 Wright Giemsa Stain Set | Polysciences, Inc.
Dual purpose stain useful for blood films, parasites and bone marrow aspirates. The ready- to-use solution makes the differentiation of human blood cells much easier to identify. Based on the commonly used Azure-Eosin formula. Set contains one 8 oz bottle of each: Wright Giemsa stain (methanol based), Buffer and Rinse. FDA approved for in vitro diagnostic use.